1. Log into your Google Merchant Center. 3. Create your FTP account and save changes. Note your FTP details. It can take up to 15 minutes for the ftp account to be activated. 4. 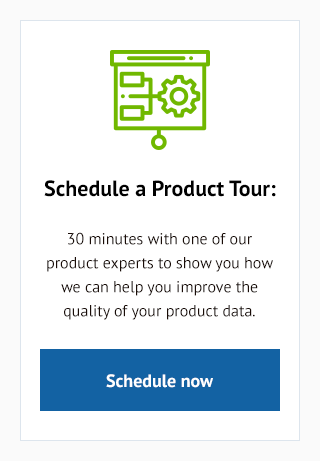 Go to Products -> Feeds and click on 'plus' button to add the new feed. 5. Choose your target country. If there is more than one language commonly used in the trade of the selected country, choose the language as well. In other cases it is selected automatically. Click 'Continue'. 6. Provide your Primary feed name. You can enter any text that you want to be displayed as your feed name. You do not need to provide any extension here. For example it can be 'DataFeedWatch' or 'Myfeed.txt'. Then choose the 'Upload' as the way of uploading your feed to the Google Merchant Center. Click 'Continue'. 7. Enter the name of your feed which must match the name of the file upload. Click 'Continue'. 8. Log into DataFeedWatch. Go to your shop, add Google.com channel and create the new feed. 9. Go to options -> Edit channel. 10. Provide your credentials and click 'Update channel'. 11. The feed will be now sent to the server automatically every day just after your products are downloaded to our system. You can also send the feed to the sever outside the schedule by clicking on Options > 'FTP Upload link' or 'Regenerate feed'. 1. Log into DataFeedWatch. Go to your shop and find Google.com. Copy the URL of your feed. Note that the output feed URL is not generated until mapping of the feed is completed. 2. Log into your Google Merchant Center. Go to Products -> Feeds and add your feed. 3.Choose your target country. If there is more than one language commonly used in the trade of the selected country, choose the language as well. In other cases, it is selected automatically. Click 'Continue'. 4. Provide the Primary feed name, select 'Scheduled fetch' and click 'Continue'. 5. Provide your File name, select the Fetch frequency, Fetch time and Time zone. Paste the Feed URL copied from your DataFeedWatch account. See the example shown below to get an instruction on how to extract your filename from the URL of your data feed. Click 'Continue'. 6. Choose your feed from the list, click on the tree small dots in the upper right corner and choose 'Fetch now'. 1. 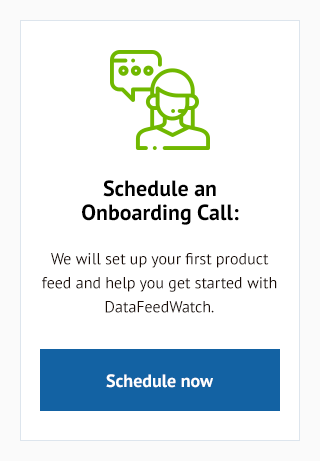 Log into DataFeedWatch. Go to your shop. Find Google.com and go to Options –> Download to download a data feed to your local drive. Make sure that the status is "OK". 2. Log into your Google Merchant Center. Go to Products -> Feeds and add your feed. 3. Choose your target country. If there is more than one language commonly used in the trade of the selected country, choose the language as well. In other cases it is selected automatically. Click 'Continue'. 4. Select 'Upload' and click 'Continue'. 5. Provide your File name. Click 'Manually upload a file now' and select the file from your computer. Click 'Continue'.